Automobile enthusiasts are a very dedicated and committed group, and Bugatti enthusiasts are probably the most dedicated of all. In this case our author carries it to a whole new level. He bought a very sad example of a Type 44 from Jean De Dobbeleer of Brussels, and for the next half century dragged it all over the U.S. The story he tells is worthy of "Ripley's Believe it or Not." He had been warned by others of the potential obstacles that lay ahead, but was so mesmerized by the marque that he plunged ahead into a world of frustration. 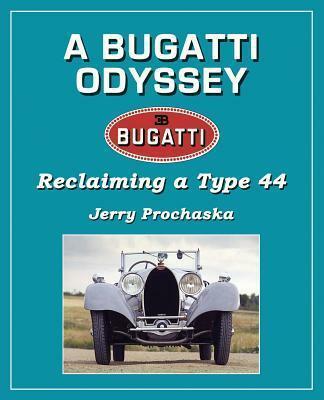 He takes you on a long ride to meet the interesting people he met along the way, and to share in the joy and heartbreak of trying to resurrect his dream Bugatti. It's one heck of a ride!